"Ramsey Lewis Trio" by Morehead State University. Office of Communications & Marketing. 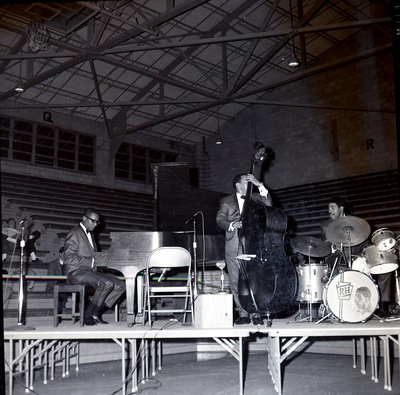 Ramsey Lewis Trio preforming at Morehead State University on March 1, 1966. The trio includes Ramsey Lewis on Piano, Eldee Young playing bass and "Red" Holt behind the drums.